It was only two weeks ago our hopes of a sunny spring were lifted as we had a generous week streak of sunshine that had everyone smiling and actively embracing the healthy outdoors. The typical British climate has proceeded to let us down once again, lifting our spirits to only have them crashing back down. When it rains it can limit how we use our space and sometimes it can get a little confined as everyone will be huddled inside refraining from going outside to battle the elements. Why let the weather defeat you when there is a solution that will still give you the option to be outdoors and relax without touching a drop of rain. The all-weather Outdoor Living Pod™ is the perfect patio canopy that can provide shelter and warmth, allowing you to create an outdoor retreat that can beat the forces of nature. The Caribbean Blinds louvered roof system has been designed to withstand the harsh British elements. 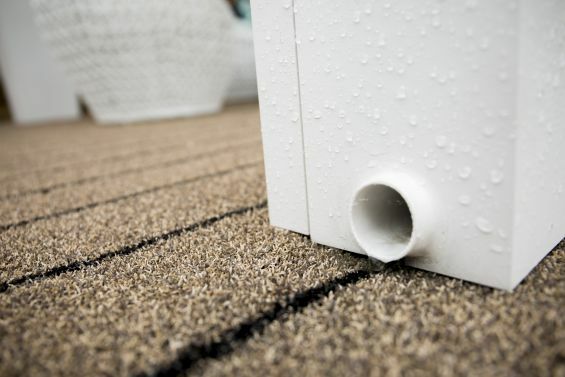 It has a fully integrated guttering system situated around the internal perimeter of the roof that drains the rain away through concealed downpipes located in the post uprights. You may be wondering how it stops the rain coming in sideways, well this aluminium pergola can come with side screens where the fabrics are coated in a Nano-tech solution to deflect moisture rather than absorb. Our fabrics are fully water repellent and durable and they are fitted with a zip locking mechanism so that they can withstand strong breezes (beaufort 6). 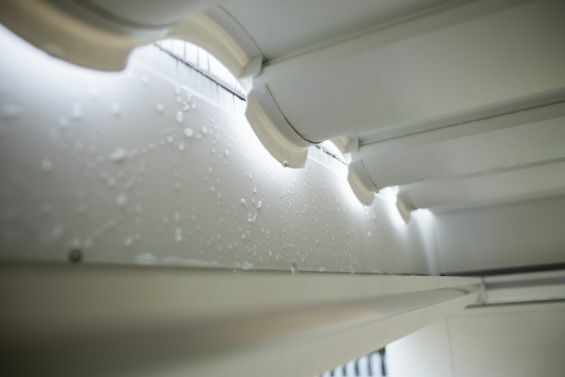 That’s not all that you can add to create the perfect garden room, you can even add integrated LED light strips to the louvers to create ambience and infrared heaters to keep you warm and toasty on those chilly evenings. 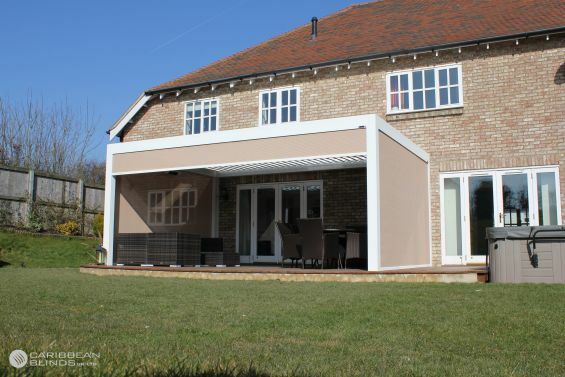 This patio canopy is a flexible system that can adapt and serve your outdoor living needs all at the touch of a button. There are endless reasons why our Outdoor Living Pod™ is an Award Winning design and these are just a few contributing factors. 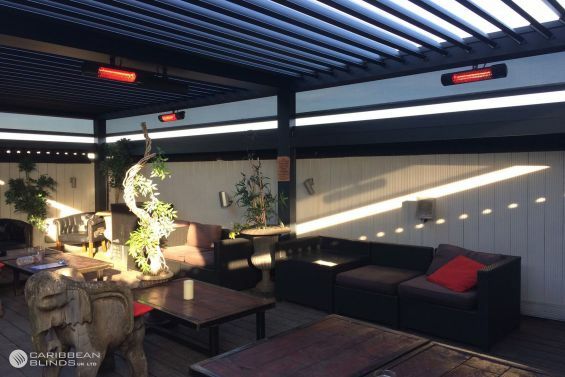 Contact one of our experienced team members and find out more about the other great benefits and features that come with our louvered pergola. Change the way you use your space at home by calling 0344 800 1947 or you can leave your details and receive a FREE brochure using our quick enquiry form.